October | 2011 | I love butter and sugar. It’s been over two years since I have updated this blog. I stopped mainly because my new job at the time was forcing me to work long hours, and also because it already required me to be in front of a computer for so many hours of the day that once the weekend came, the last thing I wanted to do was be in front of a computer again. A lot of things have happened in the last two years – lots of new experiences, realizations, and traveling. The most recent and notable travel experience I have had was my first time in Western Europe (France, Italy, Greece, and Turkey). I spent two and a half weeks this summer exploring Europe, and my first stop was in Paris. I’d wanted to come to Paris for as long as I could remember, and this past summer, it finally became a reality. When I had to chose a language to study in freshman year of high school, I unhesitatingly chose French. Although those language skills are close to dead now, during those four years studying French, I gained a deep love of French culture and ways of life. The “je ne sais quoi” leisurely lifestyle and appreciation of fine art and gastronomy were big reasons I’ve been so drawn to French culture. In my mind, the French have a deep understanding of the most important thing in life, and that is the art of living and living well. Paris is a city that likes to enjoy a glass of wine at every meal, a city that relishes its two-hour lunch breaks, and a city that encourages seeing and walking to appreciate her complete beauty. She is a city that is somehow so green that when I look around at all the lush, vibrant shrubs and trees that have been trimmed and hedged to perfection, I sometimes think that someone just took a can of forest and pine green spray paint and had a field day running through her streets. 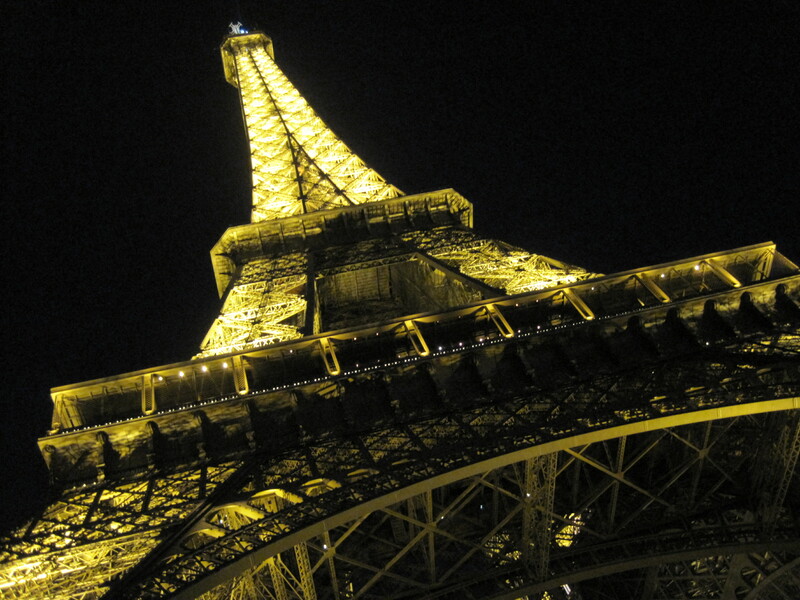 Our first night, we walked from the Champs-Elysees to the Tour Eiffel. Although I had seen it so many times in TV shows, movies, postcards, and photos, seeing the Tour Eiffel in person was like a revelation. I was so stunned by its massive size, curves, and light. I felt different emotions as I walked around it and along the Seine, but most of all, I felt an overwhelming sense of gratitude – gratitude for the fact that I was so privileged to be able to visit one of the most stunning cities in the world, gratitude for all of my life’s experiences, both painful and happy, and gratitude for the people who I have loved and who have loved me and contributed to who I am now. In a city I had never before visited, I began to feel nostalgic and introspective. As these feelings of nostalgia and introspection fell upon me, I realized exactly how much I missed writing, and almost every day that I was in Europe, I blocked out an hour or two to write about my experiences and feelings while there. In some way, you could say that going to Europe helped me find a part of myself again. Traveling through such beauty gave me an overwhelming sense of gratefulness and happiness in a way that I’d never experienced before. 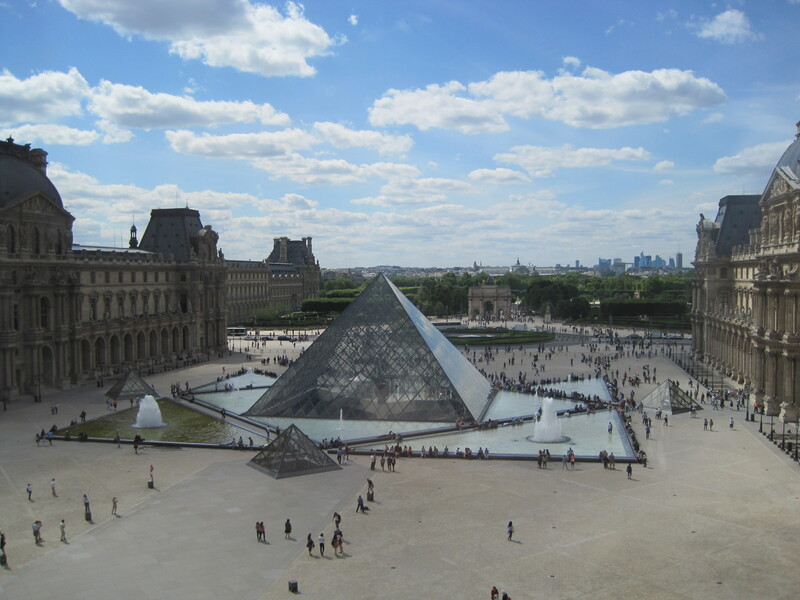 Paris is one of those places that people visit and have extremely high expectations for. We hope it will live up to all of the hype that television shows and movies have built around it. We expect every building to be stunning and colossal, every work of art to be breathtaking, and every croissant to be buttery, flaky, and melt in your mouth. Well, not every building was stunning, not every sculpture and painting I saw was breathtaking, and (extremely unfortunately) not every croissant I had was flaky, but I will say that Paris lived up to all of my expectations, particularly when it comes to all things epicurean. 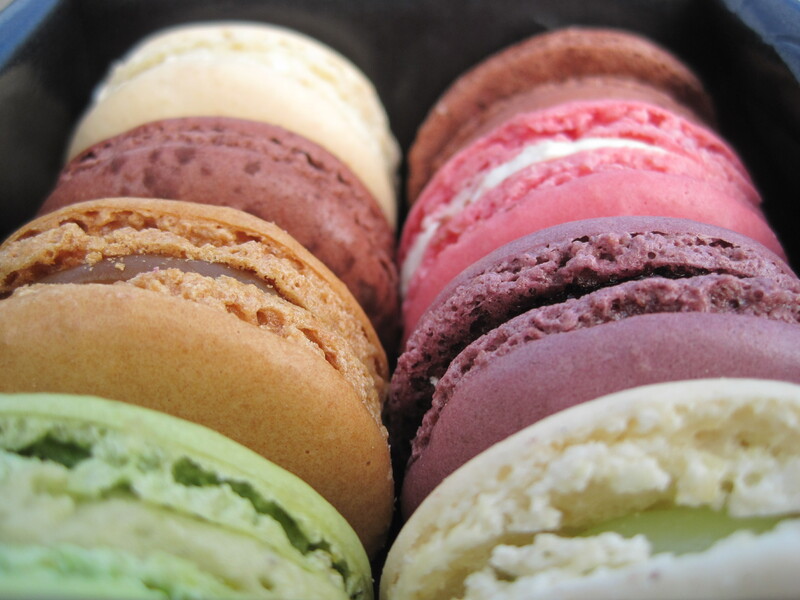 The perfect macaron, when you bite into it, should have a small crunch, and then as your teeth dig deeper into it, should be lighter than air. 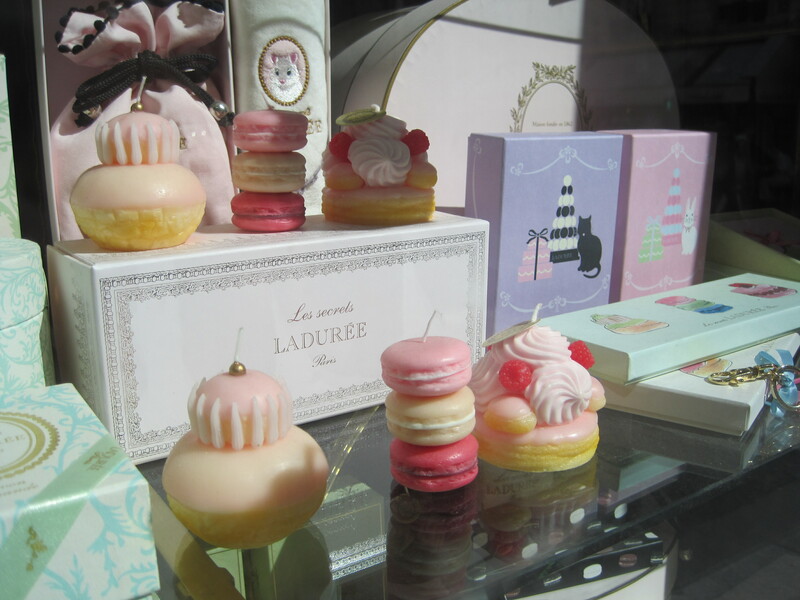 The ideal macaron is light and delicate; it is a meringue, after all, that was piped from a pastry bag, left to sit for a few hours to develop the “shell” on its top to create that tiny crunch in the initial bite. The fillings vary depending on which flavor you get. I can’t decide if I prefer the richer fillings like pistachio or hazelnut cream or the lighter ones like raspberry or orange. 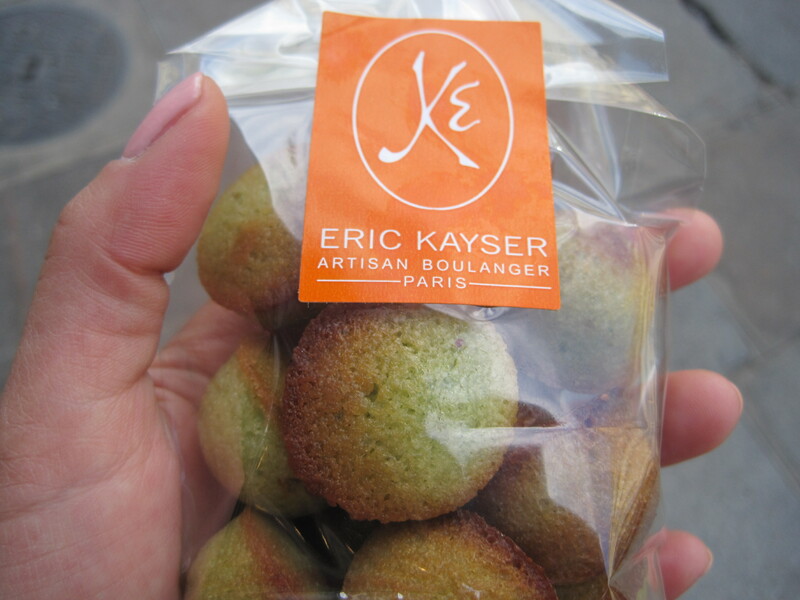 In addition to getting macarons from Ladurée, we also tried them at Eric Kayser and Pierre Herme. 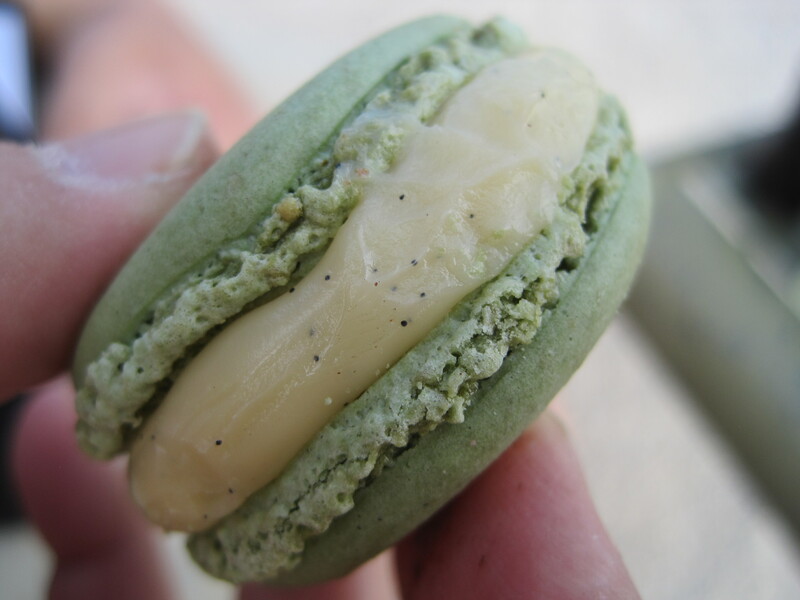 The most unique macaron flavor we had was from Pierre Herme – olive oil and vanilla bean. The strong perfume of vanilla was unmistakable, but with the hints of fruity olive oil, the flavor was pretty sensational. You can even see the specs of vanilla bean in the cream filling here. The Eric Kayser macarons were satisfactory, but honestly, they paled in comparison to the ones we had at Ladurée and Pierre Herme. However, their mini pistachio flavored financiers were incredibly cute and dainty with just the right amount of sweet almond nuttiness. Oftentimes when friends have come back from France, they say that the cookies and croissants always taste better there than they do here in the States, even when they are thinking about their favorite pastry shops here. I used to think that this was just because they had such great memories of their travels and wanted to immortalize those epicurean experiences in their minds, but then I read an article a few years back that noted that laws in different countries surrounding butterfat (yes, butterfat laws; there really are regulations around this stuff) actually did make buttery baked goods different depending on where you are eating them. By law in the United States, American butter must contain at least 80 percent butterfat, while the minimum for French butter is 82 percent. Many companies in France that make butter even use 83-86 percent butterfat! A few percentage points might not sound like a big deal, but butterfat is the main determinant of butter’s flavor and texture, so every small bit counts. 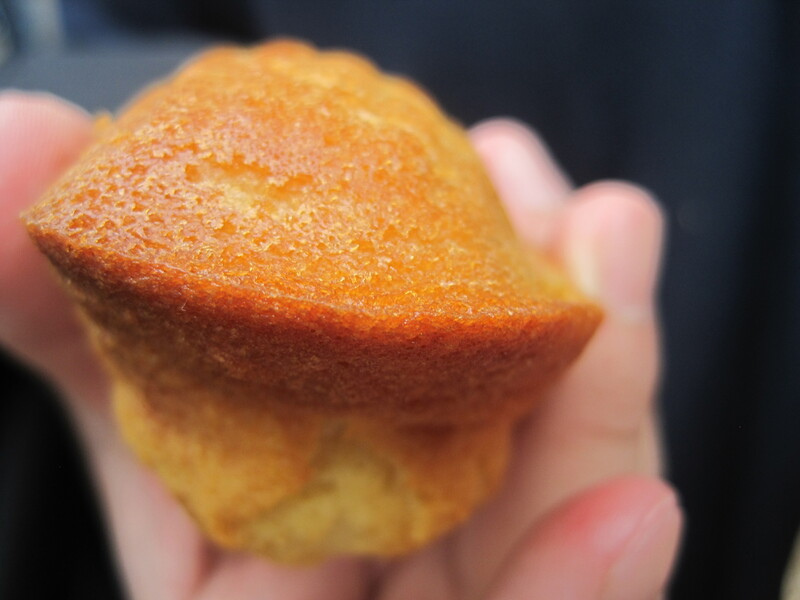 The best croissant, baguette, and madeleines I had were from a bakery within walking distance of the Sacre Coeur cathedral called Le Grenier à Pain. Apparently in 2010, they won first place for the best baguette in the 17th annual best baguette contest in Paris at la Chambre de Commerce des Boulangers. 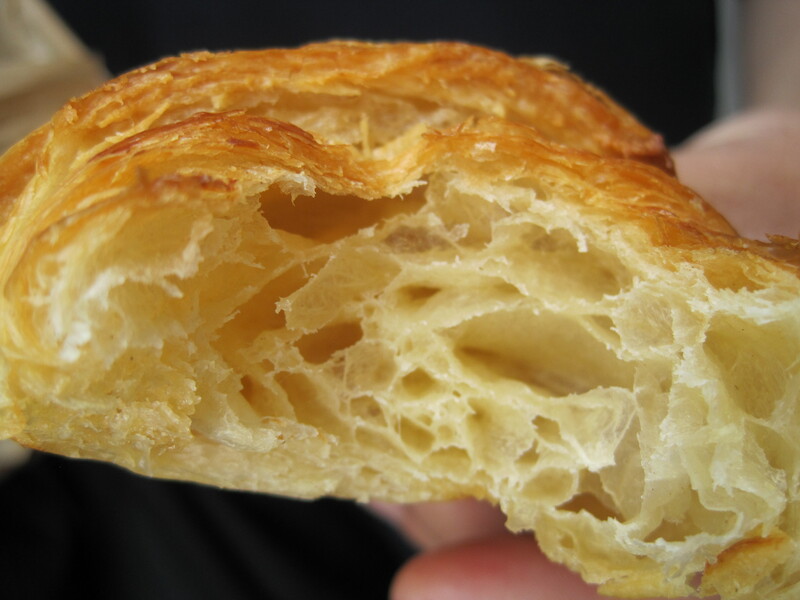 The croissant was one of the flakiest croissants I’ve ever eaten, with a texture so light that I probably could have stood there and eaten 10 of them without even realizing it. The crunchy exterior was almost addictive. France is a carb lover’s dream – everywhere you go, you are surrounded by the most amazing and decadent cookies, cakes, pastries, and breads. Most of the notable bread places we found were along the way to the Sacre Coeur. For our picnic that day, we bought a gorgeous loaf of olive bread from Boulangerie à L’Ancienne. 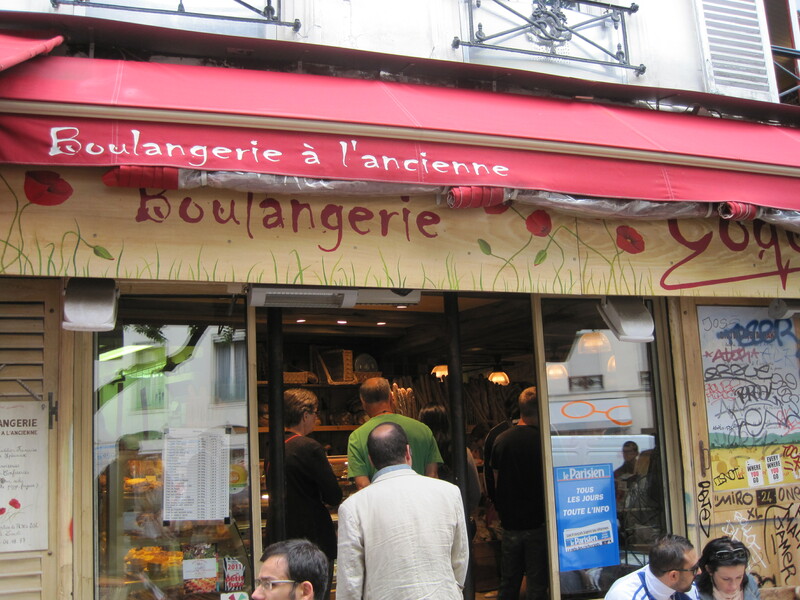 This place churns out baguette, madeleines, and other pastries and breads all day long. We even saw a man in the front of the shop shaping baguettes. If I had timed him, it probably took him about 15 seconds per loaf to shape and throw each baguette onto the industrial-sized baking sheets. 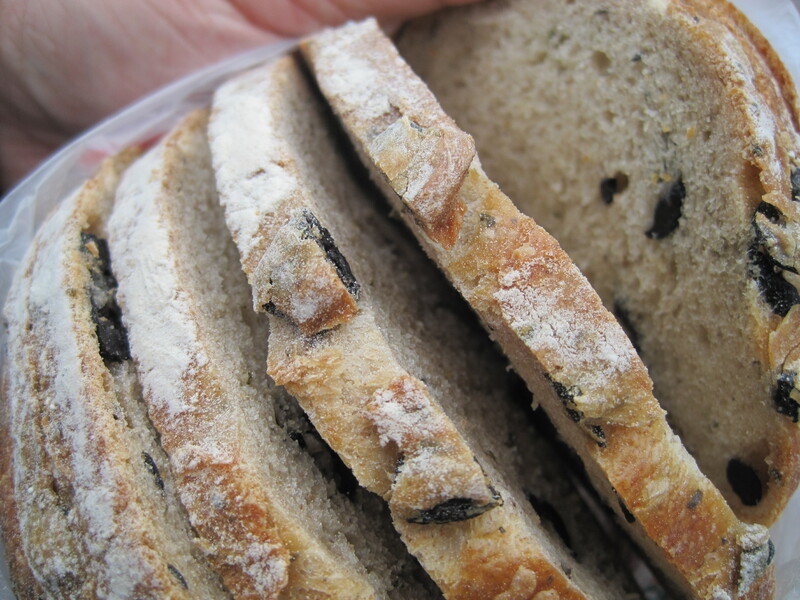 We used our olive bread to make sandwiches that day, and it was probably one of the best olive breads I’ve had. The olives had just the right amount of saltiness, and the bread was soft yet springy. With our pâté and cheeses, these sandwiches made the perfect lunch. In the midst of all of the croissants, baguettes, and macarons, we still needed to have some real meals while in Paris. To be honest, while we did eat at a few good places with great steak frites, creme brulee, and charcuterie, none of them were particularly memorable or worth writing home about. 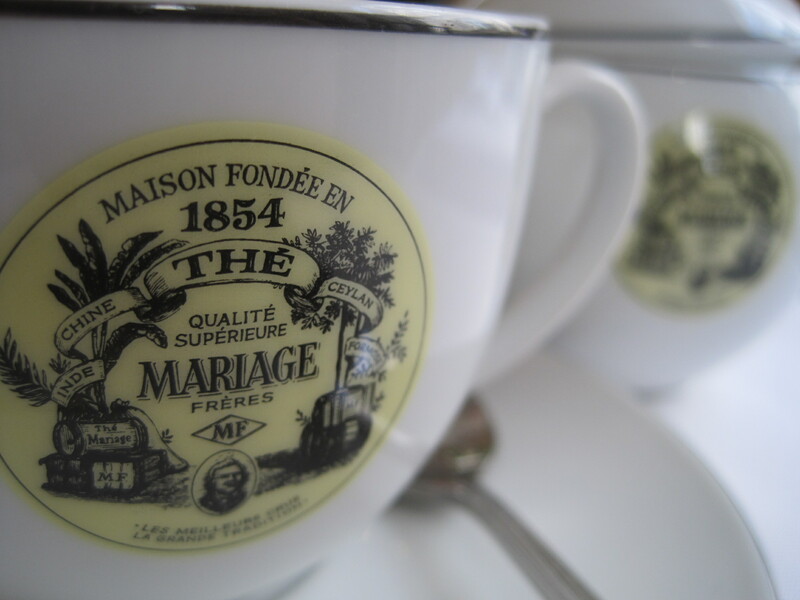 The one exception to this was our visit to the much loved Mariage Frères Maison de Thé. For our last lunch in Paris before jetting off to Rome, I knew we had to visit one of the best tea houses in the world. 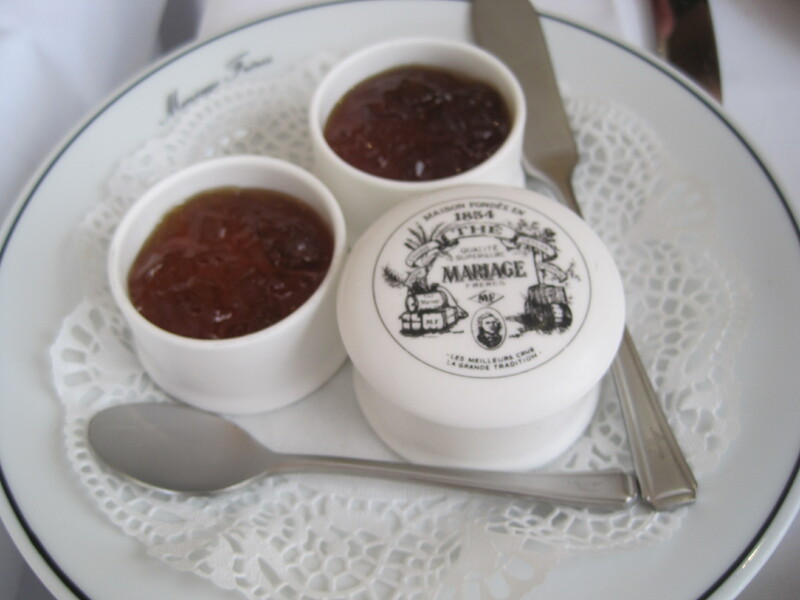 Mariage Frères has several locations in Paris, as well as in Germany and Japan. 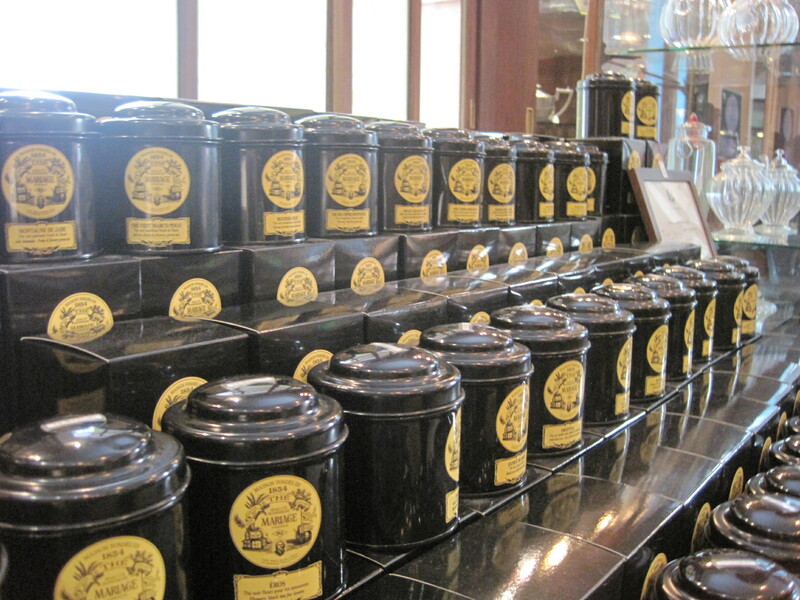 Mariage Frères is known by tea connoisseurs for its large selection of teas imported from around the world. Each store is laid out in an apothecary style that makes you feel like you are about to make a purchase that might heal an ailment of some sort that you have. We visited the location in Rive Gauche, which is quietly tucked away on a side street in the area. If you visit one of the tea salons like we did, you can have the privilege of enjoying your own pot of their spectacular tea in a relaxing, beautiful setting. In addition, you can also have breakfast, brunch, or pastries and cake here. Of the prix fixe brunch selections (all in French, so practice your reading and speaking skills!) listed, we choose the Green Line and the Lucky Melodies. 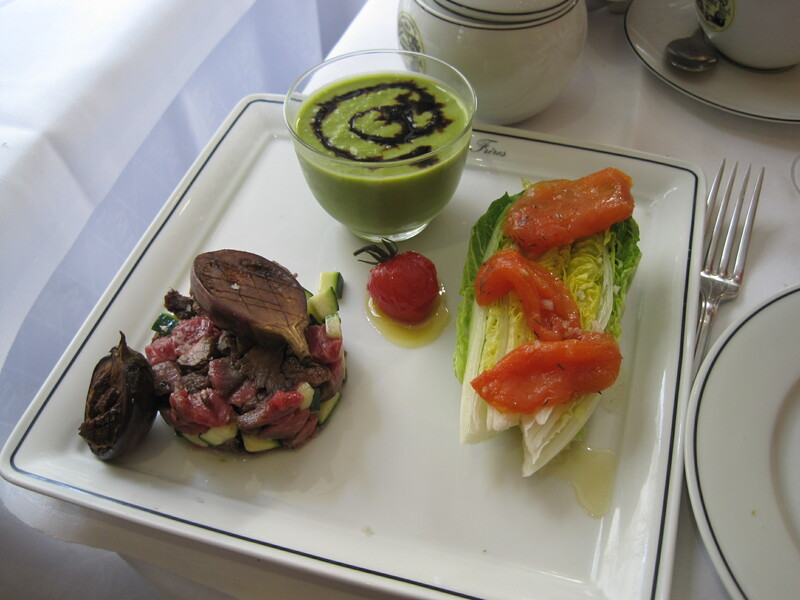 The Green Line came with a beef filet tartare, a gazpacho, and a salad of long, elegant romaine leaves and roasted, marinated tomatoes, a glass of Mariages Frere’s very own namesake champagne. 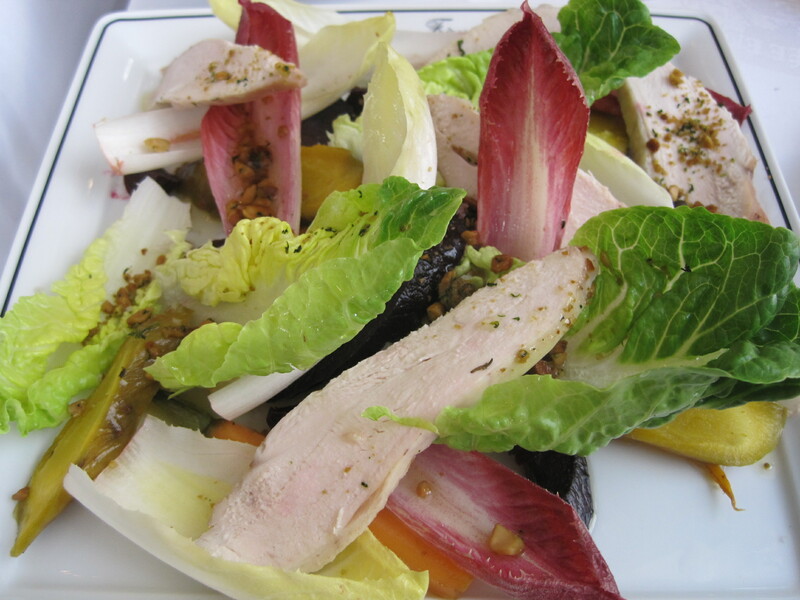 Lucky Melodies came with a chicken salad that redefined chicken salad for me – a mix of beautifully cut romaine leaves, radicchio, large slices of chicken breast, red beets, with an intensely fruity olive oil and nut dressing. This salad was like a work of art. Both sets came with freshly squeezed grapefruit and orange juice, a buttery berry scone, and a fruit muffin with Mariage Frères tea-infused fruit jellies and butter. For tea, he had a Sweet Shanghai – a subtle green tea with lychee notes – iced, and I had the Rose d’Himalaya, a first flush Darjeeling tea perfumed with rose petals. The deep red color of the Rose d’Himalaya was so gorgeous in my little tea cup. For dessert, we shared a slice of the matcha green tea tart, which was intensely green tea flavored and silky, and a yuzu tart, which was extremely tart. I don’t think there was a single thing that we did not enjoy the taste or presentation of in this meal. Even the service was impeccable. The highlights for the meal were the fruit and tea-infused jams, the chicken salad, the beef tartare, the flute of champagne, which had more depth and complexity than any other glass of champagne or prosecco I’ve ever tasted, and the green tea tart. The jams we had with our scones and muffins were amazing. Both had citrusy, floral notes and were infused with tea, and the texture resembled more of a thick jelly than a jam. Every aspect of this meal at the tea salon was memorable, and when I look back on Paris, this was definitely one of the most unforgettable parts of the trip. 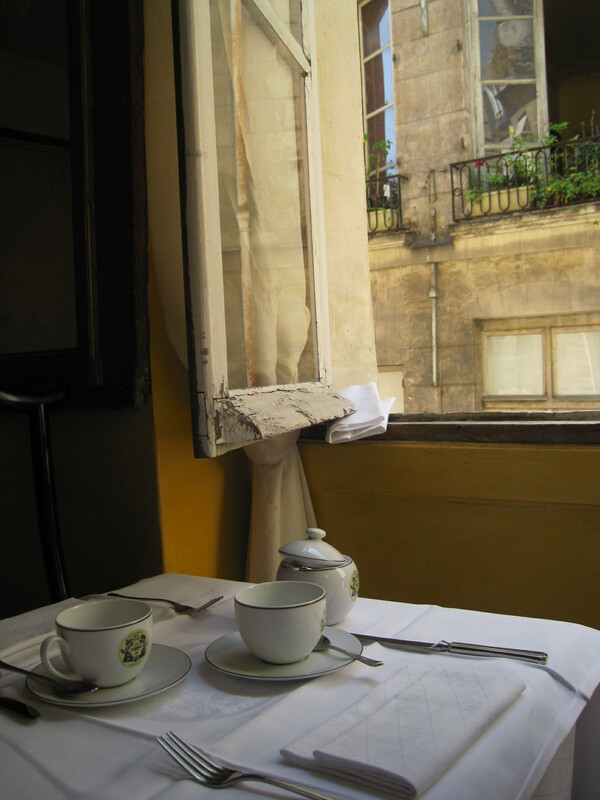 Writing about Paris makes me miss it even more and want to impulsively book a flight to go back there just to sit and linger in the tea salon, enjoying a cup of tea and a scone with one of those succulent fruit gelées. In some ways, my outlook on life has been changed by the time I spent in Europe. There are a lot of little joys in life that we take for granted, and sometimes when things get very chaotic and busy, we tend to forget those little things that make life so amazing. Maybe we would all be a little bit happier and more satisfied if we could just take a short break from this everyday life we live, jet off to Paris, and experience an afternoon of respite in a tea salon as tranquil and beautiful as Mariage Frères’. Whatever you do when you go to Paris, make sure that you indulge in as many croissants, macarons, baguettes, and tea (if that is your fancy) as possible. 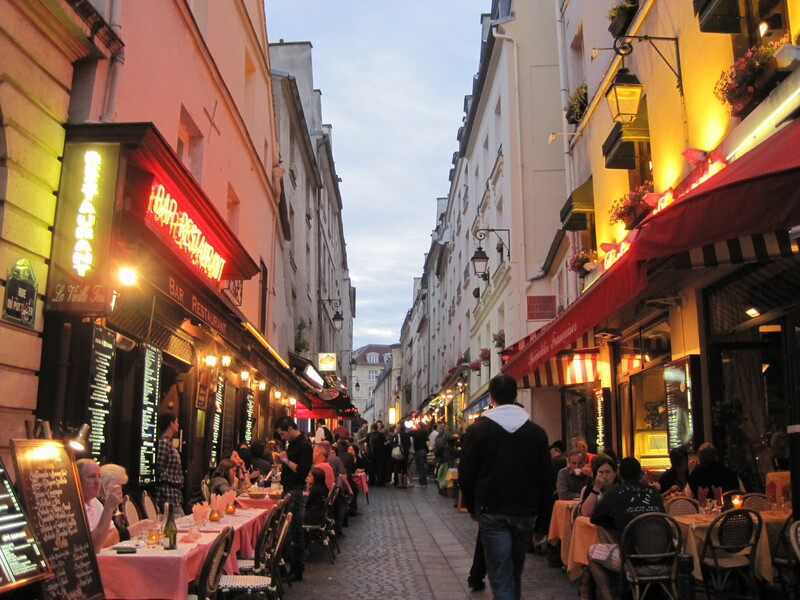 Eating in Paris is an experience in itself that everyone should embrace. I certainly did.